Essential oils have become a recent fad in the natural health realm, but not without reason. These powerful natural oil extracts have yielded the desired results for many people to reduce the effects of minor ills. Some people have gone so far as to eliminate over-the-counter medications and ointments altogether and replace them with essential oils. 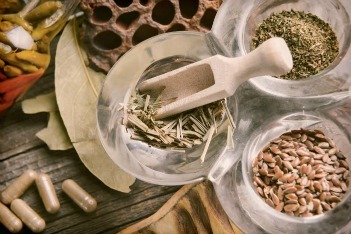 You don’t need to go that far to experience the effects of these delightful natural medications, but you should consider adding these 11 natural extracts to your medicine cabinet. If the smell isn’t enough to entice you to use this lovely oil, perhaps these health suggestions will. Lavender can be beneficial when it comes to promoting sleep, relieving headaches, smoothing skin, reducing allergies, and clearing sinuses. 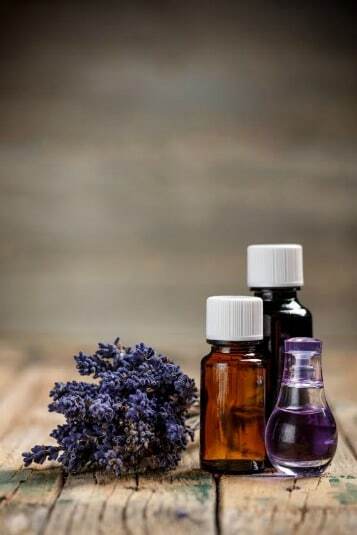 You may find that you can use lavender to replace several of your medications, including antibacterial ointments, pain relievers, sleeping pills, and allergy medication. You know the minty flavor of Pepto Bismal? It’s not just there to make the medicine taste better. The peppermint flavor actually helps with stomach relief, which is why peppermint essential oil is a suggested form of treatment for digestive issues. It may help with things such as heartburn, diarrhea, stomach cramps, headaches, and menstrual cramps. You may find that this oil works so well for you that you can replace your over-the-counter cramp, digestive, headache, and heartburn medications altogether. Lemon as a fruit is a great source of antioxidants and you may find that lemon oil can deliver many of the same benefits. Antioxidants improve the health of your skin, reducing acne, dryness, and splotches. Many have found the oil to share this property, which is explained in greater depth here. Besides its skin benefits, lemon is a great disinfectant, which is very important for staying healthy! Not only does this little gem smell like Christmas in a bottle, but it can also be used to relieve mental stresses if inhaled, or it can be used to combat external health problems, such as acne or dandruff. Many rub cedar oil into the scalp to reduce dandruff, or create a cream from it to relieve acne. 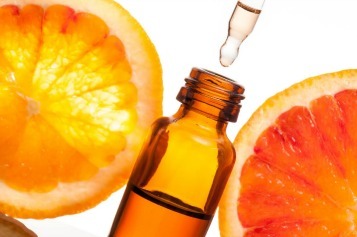 Orange oil is a marvelous addition to any medicine cabinet simply because it can help with so many things. For those with mental or emotional disorders, it may help to cheer up episodes of depression or relieve moments of anxiety. Others have found it to be an aid in treating intestinal spasms, diarrhea, constipation, and water retention. If you have an intense job, this particular oil may be just the thing for you. It seems to do wonders for headaches and muscle and joint pain. Also, if you’re prone to athlete’s foot, lemon grass oil may be your cure! Frankincense has a long history of medicinal purposes, which is one of the reasons it is so valuable. If inhaled, frankincense may offer relief for digestive or nervous issues, and if used in a topical ointment or cream, it can be a great relief to minor injuries, such as burns, scrapes, cuts, sores, and bruises. Tea tree oil, also known as Melaleuca, boasts antiviral properties that you’ll want to try! It’s great for banishing germs, but even more than that, when applied to gums, it may help with your periodontal disease. When used as a topical ointment or cream, it can treat foot fungus and help reduce acne. This isn’t just a great spice in the kitchen. With it’s antiviral properties, it may also be a great addition to your medicine cabinet. Some have put oregano oil in capsules to fight off viruses. Others use a mixture of the essential oil and water to gargle away a sore throat. When inhaled, it may also work to clear sinus passages and treat allergies. Many women swear on fennel’s amazing ability to relieve symptoms associated with both menopause and the menstrual cycle. The estrogen-like properties of fennel can help balance out hormones to relieve cramps and lessen mood swings. It’s also been called the Pepto Bismal of essential oils, as it’s often used to treat nausea, diarrhea, stomach cramps, intestinal spasms, and more. If used in an all-natural mouthwash or toothpaste, it may effectively freshen your breath! When you get a cold and your sinuses are entirely blocked and your body aches, basil may be the cure for your ailments. When inhaled, it can clear sinuses, and when applied with an ointment or cream, it can relieve muscle and joint pain. Once you’ve ingested this list of essential oils and experienced some of their extraordinary capabilities, you may never buy an over-the-counter drug again! Amber Brubaker is a professional writer who loves anything to do with learning and writing, which makes blogging her cup of tea! She loves to experiment with any information she learns, and then share advice with others in the form of tips and tricks. 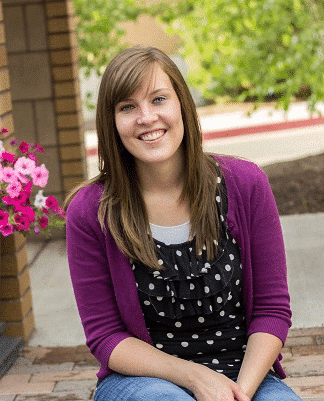 She enjoys cooking, organizing, and spending time with her husband and extended family. 8 Last Minute Valentine Crafts! Amber really taught me a lot in this one too! What a great guest post. I keep essential oils on hand because they help me with my holistic pain management. I also use them for other things, like lemon oil. I add a few drops in my drains at night to keep everything smelling citrusy delish. Thank you! I have been interested in learning more, so I am glad Amber could help! Wow- thank you! I just recently started using essential oils but didn’t want to invest in ALL of them. This gives me a good place to start on them! This is a great list to start with! I love essential oils!! Great list Amber! I have all of these and use them all of the time. I love lavender and peppermint oils. Frankincense reminds me so much of Christmas. Basil I like too. I just bought a Jo Malone room spray with the scent of basil, lime and mandarin. It smells sooo good in my room! Ohhh, I’ll have to look into that! I have heard so much buzz about essential oils lately, but never really knew where to start with them. This was really helpful! I’m glad it was helpful! I know it helped me! What a great article, I never used oils before. I definitely will now, I could use the lavender and lemon one. This was really interesting, I had no idea what all those different oils were good for. Thank you! I am so glad that this article is helping people understand! I feel the same way, Amber. I am definitely getting a few now. Lavender and Lemon Grass and to an extent Tea Tree Oil are big no no’s for me–allergies to all three!! As for the others–I always use Peppermint in tea form I should try the essential oil. I love the scent of anything citrus like the lemon or orange and generally buy bath oils etc in those scents–definitely wakes me up and cheers me up almost immediately. Citrus scents make me happy too! They always smell so fresh and clean! This is so helpful! I’ve always wanted to try essential oils but never knew where to start. Thanks for sharing! VERY NICE POST… I LOVE IT … MY FAVRIOUT TO USE IS LAVANDA…. Wonderful! Lavender is a great scent. i’M REALLY INTO ALL NATURAL REMEDIES AND BEAUTY PRODUCTS. I CURRENTLY ON HAVE THREE OF THESE PRODUCTS AND WILL HAVE TO BY MORE! I’ve been getting more oily, as they call it, lately. I have lavender, lemon, peppermint and a few more here. I’ve totally stopped taking headache medicines! I really appreciate your descriptions. They’re spot-on. Thanks Tamara! I always love input from actual oil users! Thank you so much for sharing about these essential oils. I don’t even have one of these in my medicine cabinet! You are welcome! Now you know which to look for. I am looking in to them more and more. I really like the idea of getting these oils to have in the home. I’d really like to get some peppermint oil soon or lavender. Lemon is one of my FAVORITE scents! I have always heard such amazing things about essential oils. Sounds like so many great benefits to them. A lot of people swear by them! Much of this I did not know so I thank you so much for sharing. I’m going to have to try a few of these really soon too!! Have a great week! I am going to try some out too! We’ll have to see how it goes! I’ve heard lots of good things about Lavender and its calming affects. I’ll have to investigate more into essential oils. Lavender is very calming in scent form. I really want to try the oil now too! Great post! Hope to see you here on the blog more often Amber! Thanks Angela! I would love to have Amber back as well. Great list! I can’t live without tea tree, lavender and lemon! I think those are the 3 I would buy first! I have just started to get into the essential oils. I have a few on their way now and I am pretty excited to try them out! Thank you for sharing these awesome tips!! I have been trying to use more natural cleaning methods. Thanks for sharing with #SmallVictoriesSunday linkup! Pinned to our linkup board. Peppermint and Lavender would be a must have for me! 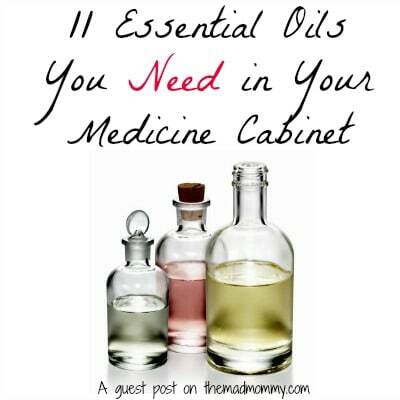 I would love to have more of an essential oil collection! Oooh, very informative! I have 3 of these in my cabinet (lavender, peppermint, and tea tree). I’ll have to look into diversifying my oil collection after reading some of these though! I just went to an essential oil “party” yesterday. Very informative. These were all of the oils that they suggested we have too. Thanks for sharing with Turn it Up Tuesday.